The Level 3 Mountain Bike Leadership Award enables the most experienced leaders to take these groups and individuals on demanding wilderness rides in the most remote corners of the country. Be at least 18-years-old or over. Be well practised and fully qualified in the Level 2 Mountain Bike Leadership Award (or TCL or MBL Awards as appropriate). Be prepared to ride all day in challenging conditions, up to black-graded terrain. You should be able to do this with energy in reserve to demonstrate an appropriate level of fitness. Be a skilful rider, competent at negotiating typical trail features found in Level 3 terrain, where obvious line choices and rollable options are often not available. Required techniques include step-up, bunny-hop and drop-off skills. Be comfortable with reading a map, taking bearings and creating flow in a trail environment. The Level 3 Mountain Bike Leadership is the highest level of the Mountain Bike Leadership program. 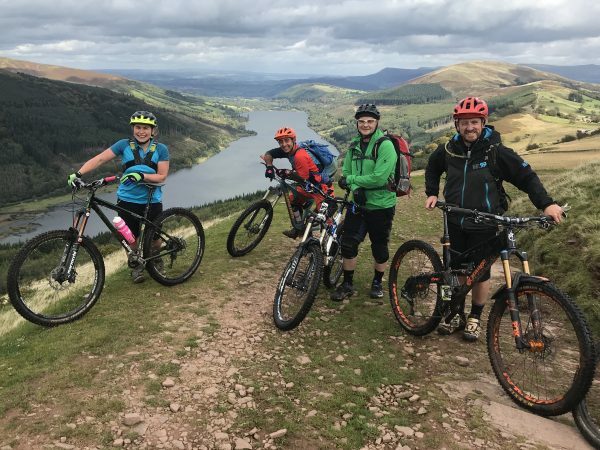 The award aims to allow leaders to guide mountain bike rides in remote environments and on physically demanding trails of high technical difficulty. People wanting to book onto this course must have already completed their Level 2 award. Once this award is complete people are then required to complete an additional 30 rides which need to showcase the top end of the participant’s riding skills. We are looking for highly skilled mountain bike leaders who ride and lead on a regular basis. The three-day training course builds upon the skills and knowledge gained at Level 2, with specific topics covered in more depth. – Route planning and navigation strategies for technical terrain. – Group management in technical terrain. – Managing accidents and emergencies. – Demonstrating the importance of hydration and nutrition. – Methods for developing attentional focus.